Visit Edinburgh and you will be met with romantic small hotels perfect for that Ednburgh weekend break, 5 star business and conference hotels for your Edinburgh business event, health and hotel day spas which are fantastic choices for hens weekends in Edinburgh, luxury golf hotels and spa resorts for those couples wishing to relax inbetween touring the wonderful sights and sounds from Edinburgh. For the best price hotel deals in Edinburgh we recommend Late Rooms. For the top discounted autumn hotel breaks in Edinburgh we recommend Macdonald Hotels. Stay for 2 nights Sunday - Thursday and save 10%. Stay for 3 nights and save 15%! Offer valid 08 Jan 11 and 28 Dec 11. Sizzling short breaks in Edinburgh to help you save! 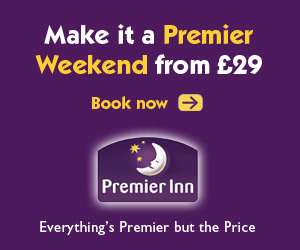 Need A Late Edinburgh Hotel Last Minute? Known as the 'City of Discovery', Dundee offers travellers great shopping opportunities and travel links to Fife's Coastal Path and St Andrew's golf courses. Perthshires capital, 'The Fair City' of Perth, is glowing with Scottish history and heritage. Home to Scone Palace and numerous parks and gardens. Gateway to touring the North West highlands and Loch Ness, Inverness offers fantastic highland shopping, lochness cruises and historically important battle sites. Book your hotel deal ahead in these Scottish cities within driving distance of Edinburgh. Edinburgh, the colourful capital city of Scotland, is an award winning world-class tourist destination for all travellers. Edinburgh hotel's offer more than just boutique hotels, historic guest houses and Hogmanay accommodation for visitors to Scotland's capital city. Discover the varied range of hotel accommodation on offer for your next visit to Edinburgh. 1 night winter spa breaks in Edinburgh from only £54.50pppn! For a hotel in Edinburgh there couldn’t be a better location than that of Barceló Edinburgh Carlton Hotel. Overlooking the Royal Mile, minutes from Princes Street and Edinburgh Castle, this Edinburgh hotel is the perfect place to stay. You won’t have far to go to see Edinburgh’s attractions or indulge in some serious shopping! A landmark stylish hotel that offers comfort and superb service. Facilities include health and leisure facilities, including a swimming pool, gym, solarium and steam room. In addition to the bright and cheery atmosphere surrounding the Edinburgh Capital hotel, guests love being within a short distance from central Edinburgh. Not far are Corstorphine Hill, railway stations, the Edinburgh International Airport, and numerous attractions including the Capital Hill location and the Edinburgh Zoo. Guests find the location of the Capital Edinburgh Hotel to be a huge benefit in that being on the west side of Edinburgh it is easy to reach by mainline train, motorway, or bus. With the location, guests never have to worry about becoming bogged down in traffic. The elegant and refined Sheraton Grand Hotel & Spa is the ideal retreat for a relaxing spa break in Edinburgh. Set in Festival Square in the heart of Edinburgh the hotel is just moments from the whirl of Princes Street and Edinburgh Castle. Hidden behind this 5 star hotels grand exterior are a host of exquisite facilities. Find inner calm in the world class One Spa, featuring a magnificent rooftop Hydropool (chargeable), 19m swimming pool and a generous range of soothing treatments. Furthermore the Sheraton Grand Hotel & Spa’s well-equipped gym is perfect for a vigorous workout. The Balmoral, a Rocco Forte Hotel is an Edinburgh luxury hotel in every sense of the word. This stylish five star hotel accommodation located in the very heart of Edinburgh offers first class luxury service as standard. Enjoy 5 star Scottish hospitality mixed with award winning accommodation designed by Olga Polizzi. All 188 opulent suites and stylish hotel rooms have magnificent views of Edinburgh making this an exceptional choice of Edinburgh short break accommodation. Voted by Conde Nast Traveller as one of the top 50 hottest hotels in the world. Winner of the 'Most Stylish Hotel' by the Scottish Style Awards. Winner 'Most Sexiest Hotel in Scotland' by Hotel Review Scotland. Awarded five star hotel status by VisitScotland. Discover Edinburgh's leading boutique hotel - The Glasshouse offers guests large Floor to ceiling windows, king size beds so big you'll slumber sweet, the crispest Egyptian cotton bed linen, baths built to soak in long and deep. A lavender-scented roof garden, acres of sun-splashed patios and cool, shady verandas, eat and drink wherever you like. Experiencing the Glasshouse boutique hotel will leave you wondering if all hotels should be this good! Dalhousie Castle is a fascinating 13th century castle hotel set within acres of wooded parkland. From the moment you arrive, a warm Scottish welcome awaits. Whether relaxing in the Aqueous Spa, enjoying the ‘secret bar’ next to an open fire, dining in our barrel vaulted dungeon or relaxing in your own castle four poster bedroom, you will always feel as welcome as the ‘Laird’. Many of the rooms at the Murrayfield Hotel offers wonderful views of Murrayfield Stadium where rugby is played and then for some of Scotland’s finest shopping, Princess Street is only a 15-minute walk. Located on a main road, this hotel is a quick drive from the hub of the Athens of the North where people can learn about the culture and history of Edinburgh. Travelers with cars can take advantage of off-street parking and head to town and back to the Hotel Murrayfield via the Edinburgh bypass and M8, or use the public bus system or taxi service. With its central location, guests staying at the Apex European Hotel Edinburgh can spend a day at Murrayfield Stadium to watch rugby, shopping on Princess Street, or conducting business at the Edinburgh International Conference Centre which is a quick 10 minutes walk from the hotel. The Apex European Hotel Edinburgh has limited car parking in the rear of the property for guests with a rental car or people can get around the city via train, bus, or taxi. The Holiday Inn Edinburgh sits adjacent to the Edinburgh Zoo, a great day trip while out exploring the city. Other nearby attractions worth visiting include Edinburgh Castle, Haymarket Station, Holyrood Palace and the Museum of Scotland. This Edinburgh accommodation also has amazing views of the Pentland Hills, which are simply gorgeous. Whether staying close to the hotel or venturing out, tourists love the ease of getting around. At the Holiday Inn Hotel Edinburgh, guests can use any of the 200 complimentary parking spaces. Getting around is also a breeze, using the bus or train system that goes from one end of Edinburgh to another. This Edinburgh hotel is located on the Royal Mile close to edinburgh city centre. Attractions located near the Missoni Edinburgh include St. Giles Cathedral, Edinburgh Castle and the Royal Museum of Scotland. Guests will also have close proximity to a variety of top restaurants and cafes in the immediate area. There are also numerous entertainment venues within the local vicinity. In addition, there are ample shopping opportunities nearby. Limited parking is provided on site at the Hotel Missoni Edinburgh. The Edinburgh airport is situated within a short drive of the hotel. The area surrounding the Holiday Inn Express Waterfront Edinburgh is vibrant and fun, featuring the new Ocean Terminal Shopping Centre, Murrayfield Stadium, Meadowbank, Royal Yacht Britannia, Edinburgh Castle, Holyrood Palace, the Royal Mile, Princes Street, and numerous national art galleries and museums. However, the spectacular waterfront views are what impress guests the most. In addition to shopping or sightseeing within walking distance, the Holiday Inn Express Waterfront Edinburgh also offersa frequent bus service to take guests to the Ster Century Cinema and many excellent bistros, boutiques, and bars, all with genuine Scottish inspiration. This hotel in Edinburgh is located less than two miles from the west side of Edinburgh City Centre and only five from Edinburgh International Airport, making the Holiday Inn North Edinburgh a highly convenient choice. Other popular places to visit include Murrayfield Stadium, The Botanic Gardens, The National Gallery of Modern Art, Pentland Hills, and both George street and Princess Street. This edinburgh accommodation is in a great location, being only a few miles from the Royal Mile, Princess Street, and Edinburgh Airport. The Holiday Inn North Edinburgh is a top Edinburgh hotel with all the standard and extra amenities enjoyed by the entire family. The Scotsman is one of Edinburgh's leading luxury five star hotels and was named as one of the ‘Top ten Day Spas in the UK’ by Condé Nast Traveller while also recently celebrated as one of the top 20 hotels in the UK for business. With an impressive history of Scottish achievement and hospitality, The Scotsman provides affordable luxury hotel deals to its visitors by creating corporate day specials and extravagant romantic breaks in Edinburgh. This city centre hotel is one block from Princes Street, a popular destination for shopping. Other nearby attractions include Edinburgh Castle, one-half mile away, and Royal Mile, virtually minutes away. Other sites are the Holyrood Palace and Dynamic Earth. In addition to the better known city centre destinations, Edinburgh features smaller, lesser known pubs, shops, and restaurants worth visiting, all close to the Apex City Edinburgh. The Edinburgh Apex City Hotel is located at 61 Grassmarket, a central location that people love. With Edinburgh attractions nearby and easy access to the Edinburgh International Airport and Waverley Train Station, people use the hotel for business, vacation, honeymoons and weddings. Conveniently located in the centre of Edinburgh, Scotland, the Apex Waterloo Place provides great Scottish accommodation in Edinburgh for those hoping to explore the entire city. It is within walking distance of a vast majority of the most popular attractions and sights, including the Parliament House, St. Giles’ Cathedral, the Royal Mile, City Art centre, National Museum of Scotland, and the wonderful shopping of Princes Street too. The Waterloo Place Apex Hotel is located at 23-27 Waterloo Place which is 8.5 miles from Edinburgh airport. The Hilton Caledonian is only two blocks from the Edinburgh Convention Centre, making it a top choice for business travel to Scotland. However, other nearby destinations includes the Royal Museum of Scotland, Princess Street Gardens, and more. This convenience coupled with easy access to the train station and Edinburgh airport have made this a favorite Edinburgh hotel, frequented by famous people such as Bing Crosby, Nelson Mandela, Tony Blair, Grace Kelly, and Elizabeth Taylor. Flying into this fabulous business accommodation is easy with the 30-minute drive from Edinburgh international airport. The Hilton Caledonian Edinburgh offers scheduled bus and shuttle services for the ultimate service. Around Ten Hill Place, you will find numerous top attractions. You will be able to access historic Old Town in mere minutes, as well as Princes Street and Holyrood Park. The Royal College of Surgeons is located nearby, as is Surgeons Hall Museum and the heart of this marvelous city. Ten Hill Place Hotel also provides you with a café/bar for your enjoyment, where you will enjoy a nice menu and excellent drinks. You will also enjoy room service during your stay in Edinburgh and the staff are happy to assist with local Edinburgh tours and ticketing needs. Number Ten Edinburgh is a magnificent 5-star Georgian guest house located in Edinburgh's city centre with hotel suites in their own elegant style. Located in the most exclusive residential pocket, you will find pure elegance, comfort and excellent service. All guests of Number Ten Edinburgh are received as honoured guests in a private home and cared for by courteous and well-trained staff. The Hotel has been refurbished recently. One of the main attractions for guests of the Best Western Kings Manor Hotel Edinburgh is Portobello Beach where people can spend time in and around the water during their summer break and then relax in a beautifully decorated room at night. This hotel in Edinburgh is conveniently located to the Lammermuir hills, Edinburgh Airport and other popular Scottish destinations. While staying at this Hotel Edinburgh, guests can go into and out of the city using the number 44 bus. Guests staying at this hotel can also take a taxi, rent a car, or spend time walking around the heart of the city to see even more Edinburgh sights. Located in an historic sixteenth-century building at the gates of Edinburgh Castle, James Thomson's Witchery is the most atmospheric and spectacular dining destination in the city. A unique location,stunning interiors and superlative food, wine and service create memorable and magical dining experiences for locals, visitors and celebrities alike. Ewan MacGregor, Michael Douglas, Catherine Zeta Jones, Jack Nicholson and Clarissa Dickson Wright have all succumbed to its charms, with Andrew Lloyd Webber calling it the prettiest restaurant ever! The George Edinburgh is in a beautiful section of the city with a convenient drive to the Edinburgh Airport or a short walk to Waverley Train Station. Nearby, the Firth of Forth, Leith Docks, and other popular attractions are ready to be explored. For business travelers, this Edinburgh hotel offers well-equipped meeting rooms, some designed to accommodate as many as 300 people. This award winning Edinburgh accommodation is located close to Waverly Train Station, public bus service, and Edinburgh Airport. From the Tailors Hall, guests can walk to Princess Street for fabulous shopping and the Royal Mile, which consists of underground passageways built in the 16th century. Other nearby favorite attractions to this Edinburgh hotel includes the St. Giles Cathedral, Edinburgh Castle, and the Scottish Parliament building. One of many leading edinburgh hotels in the city centre, Tailors Hall is only a few miles drive from Edinburgh Airport, which can be reached by taxi, car, or airport shuttle. People visiting Edinburgh love the fact that the Grassmarket Hotel Edinburgh is so close to the main attractions. Within walking distance of this Edinburgh hotel is the famous Edinburgh Castle, Princes Street, The Hub, which is home to the Edinburgh International Festival, and the wonderful Grassmarket historical area of the city. Along with the many nearby sightseeing options, the Edinburgh Airport is only six miles away. Additionally, some guests staying at the Grassmarket Hotel Edinburgh prefer to go with a rental car while others will utilize bus, taxi, and train services. One of the primary attractions of the Quality Hotel Airport Edinburgh is the convenient location to the famous shopping centre Jenners. This Edinburgh airport hotel is also very close to the City Centre where tourists will find all types of action. Nearby attractions includes the historic Edinburgh Castle, the scenic Royal Mile, and the Scottish Whisky Heritage Centre. If preferred, this edinburgh hotel offers specials for guests with courtesy transportation to and from Edinburgh International Airport. Additionally, the Quality Hotel Edinburgh Airport has plenty of parking, as well as bus, taxi, and train service. Guests can leave the Ben Doran and in minutes be shopping on Princess Street. Additionally, only a short drive away is other famous spots such as Weavers Exhibition, Geoffrey Kiltmakers, University of Edinburgh, and the Scottish Whisky Heritage Centre. Less than one mile from this Edinburgh hotel are two of the main places of interest, the Royal Mile and Edinburgh Castle. This hotel is located near mainline rail service and within a short drive from the Waverly Train Station, bus station, and the Edinburgh Airport, making the Ben Doran Hotel a convenient place to stay. The Best Western Bruntsfield Hotel Edinburgh has a perfect location, being situated in a charming townhouse sitting in one of the most peaceful parts of Edinburgh. However, guests are also minutes from the Edinburgh centre where they can experience attractions and activities during the city. This Edinburgh accommodation is also conveniently near Edinburgh Castle, National Museum of Scotland, Forth Bridges, and the Royal Yacht Britannia. For this hotel, it is all about convenience. The Best Western Bruntsfield Hotel Edinburgh is only minutes from Edinburgh Waverley Train Station, Edinburgh Airport, and Ednburgh's public bus service. Recently voted one of the top 25 city hotels in the world by Tripadvisor - The Howard is a gem of a small hotel. The Howard is often described as "The most discreet 5-star hotel in Edinburgh". A distinct attention to detail together with the personal touch will ensure you feel special. A Georgian retreat in the city centre of Scotland's capital city. Every guest has a Dedicated Butler who will tend to your every need – from unpacking your bags and serving afternoon tea in the Drawing Room to co-ordinating your social itinerary and serving a three-course dinner in your suite, so that you can totally relax. The Cairn Edinburgh is close to many things that people come to Edinburgh to see and do. Destinations such as Princess Street, Waverley Rail Station, the Edinburgh Zoo, and Edinburgh Castle are all within walking distance of this Edinburgh hotel. This level of convenience makes the hotel a great place to stay for families or business travelers. Being so perfectly located, this hotel has various transportation options including taxi, rental car, bus, and train. Only eight miles from the Edinburgh International Airport, guests of the Cairn Hotel Edinburgh can also visit neighboring cities such as Glasgow, St. Andrews, or Perth. Corporate travelers will find the Novotel Hotel Edinburgh Park a perfect accommodation in Edinburgh. It is set within one of the primary business parks in the city, and yet is near to excellent shopping, golf courses and cultural sites. This makes it a good choice for leisure travelers to Edinburgh. The Novotel Hotel Edinburgh Park is located at 15 Lochside Avenue EH12 9DJ Edinburgh, and is approximately two miles from the Edinburgh' main airport. The most distinguished collection of luxury suites in Edinburgh, offering a refreshing alternative to a five star hotel where you will enjoy an experience to remember. Comprising three beautiful architectural Georgian townhouses and situated in Edinburgh’s West End, close to both Edinburgh's main business district and shopping area, The Edinburgh Residence enjoys a peaceful yet central location only minutes walk from Edinburgh’s main tourist attractions. Edinburgh’s most famous hotel and the only one in the city to receive the AA’s highest accolade of 5 RED STARS. Prestonfield was also awarded the AA's HOTEL OF THE YEAR 2005 for Scotland and Northern Ireland. The latest hotel from creator of the famed Witchery by the Castle, James Thomson. His uniquely quirky and luxurious reworking of this baroque mansion - originally built as the imposing home of Edinburgh’s Lord Provost - has created an exceptionally indulgent luxury hotel experience near to the bustling Royal Mile. Enjoy a warm welcome at the intimate Holiday Inn Express Edinburgh-Royal Mile hotel, set in the heart of Edinburgh's Old Town, 9 miles from Edinburgh Airport. Dramatic Edinburgh Castle and Holyrood Palace are both just 10 minutes' walk from the hotel. Indulge in some serious retail therapy on Princes Street, then head for lush Princes Street Gardens, a parkland retreat right in the city centre. Cobbled alleyways along the atmospheric Royal Mile provide a real taste of Scotland. Ask Holiday Inn Express Edinburgh-Royal Mile's knowledgeable staff about local Ghost Walks and Edinburgh Bus Tours. We're a good base for business with Edinburgh International Conference Centre 1 mile from the hotel and Waverley train station a 10-minute walk away. For leisure and business travellers, the Hotel Novotel Edinburgh Centre offers comfort and convenience. Famous tourist attractions such as Duddingston Loch, Edinburgh city centre, Edinburgh Castle, the Royal Mile, and the Scottish Parliament are within close proximity. The Edinburgh International Airport is a 15-minute drive from the Hotel Novotel Edinburgh Centre and for people with cars, indoor parking is provided. The Hudson Hotel Edinburgh is located directly in the centre of Edinburgh city so that all historic and cultural sites are easy to see and experience Edinburgh. It gives guests direct access to the city of Edinburgh for business travel and holiday stays. The Hudson Hotel Edinburgh can be accessed 6 miles from Edinburgh International Airport, and it is close enough to see the famous sights of the city itself. Public transportation can be accessed outside the hotel, or the front desk can make arrangements for travel. 21212 is an exclusive fine dining restaurant with rooms located in the heart of Edinburgh. Situated in a Grade A Listed Georgian Townhouse, the hotel has recently undergone a multi million pound refurbishment. The four beautifully appointed large bedrooms, with dedicated lounge areas, are split over the two upper levels of the house, offering commanding views over the gardens and the historic Calton Hill to the rear and stunning views of the city of Edinburgh to the front. On a clear day, bedrooms 1 and 21 also offer views to the Firth of Forth and beyond. A few of Edinburgh's attractions near the Best Western City Hotel Edinburgh are the shopping area of Princes Street, Edinburgh Castle, Quarter Mile, Holyrood Palace, and Edinburgh Quayside. Being in the heart of the city, guests staying at this luxury edinburgh hotel also find popular Edinburgh restaurants, boutiques, shops, and pubs. With a first class location, this hotel makes it easy to get around. In addition to all the incredible apartment amenities offered by the Ocean Apartments Edinburgh, the location is definitely a great advantage. Guest are located near several capital attractions that include the Ocean Terminal Shopping and Entertainment Centre, Edinburgh Castle and The Royal Botanic Gardens. These Edinburgh self serviced apartments provide quick and easy access to some of Edinburgh's best restaurants and shops. With this Edinburgh Apartment accommodation being only four miles from the Royal Mile, they are easy to reach. Guests have access to a bus service that runs every 15 minutes for getting around the city or they can choose an Edinburgh rental car as there is free parking on site. A must see when visiting Scotland, Edinburgh fascinates tourists in all seasons with stunning gothic skylines to sandy beaches, from festivals to fireworks - the city does indeed have something for everyone! Renowned for its year round festivals (notably the Edinburgh International Festival and Fringe Festival), Edinburgh offers a superb mix of shopping, entertainment, culture and history that many cities in the UK could only wish was their own. Much more than just a 2 night weekend break Edinburgh is the visitors gateway to Scotland's best attractions further north including the Scottish highlands and Inverness, Grampian regions, Glencoe and Glenshee ski fields. Thousands of holiday makers visit Edinburgh Castle and take Edinburgh's underground haunted vaults tours every year. Tourists also enjoy the rich heritage this historic Lothian city offers which includes the famous Royal Yacht Britannia, Holyrood Palace, The Scottish Parliament, Princes Street and of course the world famous Edinburgh Royal Mile. Edinburgh is home to a fantastic selection of top UK hotel accommodation options for any budget. Stylish Edinburgh hotel accommodations await in Haymarket and the centre with high rise boutique, city and luxury hotels while further east branded budget hotels like Holiday Inn line the waterfront with fantastic shopping malls and restaurants on their doorsteps. In the south west, many award winning 5 star Edinburgh hotels and secluded Scottish guest houses enjoy wonderful views over the surrounding hills and Holyrood Park. Edinburgh is great for all ages. Families can enjoy the sights and sounds by booking Edinburgh hotel deals and discounted city breaks, shopping breaks and festival hotel breaks while couples will love spending a romantic weekend break in Edinburgh over Autumn (not to mention Valentines Weekend in late winter) and hitting the city's vibrant restaurants and bars scene once the sun descends. Business travellers to Ednburgh will have a great selection of leading Edinburgh business hotels available for their stay. From Edinburgh airport hotels to downtown Princes Street accommodation, Edinburgh has some of the most chic and stylish hotels in all of Scotland, if not the UK.